Late Shri Vishnu Waman Thakur Charitable Trust Established in 1988 and started the Utkarsha Vidyalaya & Junior College in 1991 to promote the cause of higher Education in Virar and its adjoining rural & Adivasi Backward area which has population of over 1.5 lac. The Junior college is affiliated to Maharashtra Board of Secondary and Higher Secondary Education. 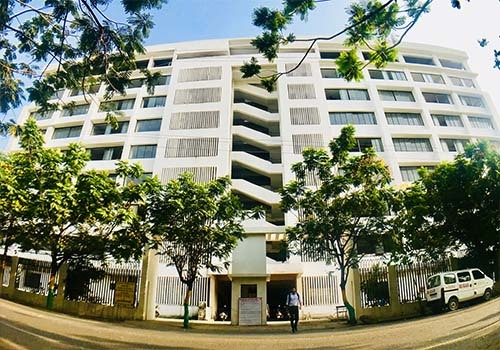 Subsequently in the year 2000-01, the VIVA COLLEGE OF ARTS, COMMERCE & SCIENCE has been established which is affiliated to University of Mumbai. The college is located in beautiful pollution free environment of Virar(W) at a distance of about 1km from Virar Railway Station. The mandate of Trust is to develop the college to a leading Centre of Education in its Entire ramification in this region. In last 11 years, the college has made phenomenal progress. The Trust started VIVA INSTITUTE OF MANAGEMENT STUDIES in the year 2004, which is approved by AICTE, New Delhi, and DTE, Govt. Of Maharashtra and affiliated to University of Mumbai. The Trust started VIVA INSTITUTE OF TECHNOLOGY in year 2009, conducting degree courses in Engineering. The Trust started VIVA COLLEGE OF DIPLOMA ENGINEERING & TECHNOLOGY in the year 2010, conducting 5 Diploma Courses in Engineering & Technology.